Are flip flops truly bad for the feet? A Podiatrists interesting view and discussion about common myths. Our foot specialist who works in Wimbledon Clinic shares an interesting review; talking about common myths which suggest flip flops cause foot pain are bad for the feet. Hopefully you will forgive me for thinking too far ahead, but summer is just around the corner. As I travelled home from a busy day in the Wimbledon clinic, the car dashboard said 5 degrees. Yes its cold, but in a few months you will be thinking about flip flops, sandals and walking barefooted along the beaches of your chosen holiday destination. 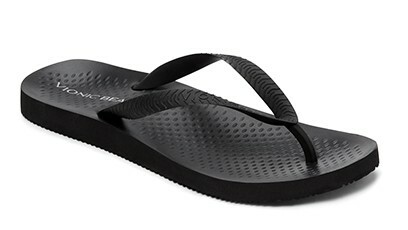 For the majority of people, walking barefoot and wearing flat Havaianas are very comfortable. The secret is I love my Havaianas and find them incredibly comfortable. I wear them in the summer, abroad and visiting my family in Gibraltar. The myth is that flat flip flops and barefoot cause problems. I can tell you that when you walk barefoot, this is somewhat improving strength, conditioning, balance and something called proprioception which is important in walking and movement. So what’s the problem? As a foot specialist, 95 % of people who attend clinic have an injury. When you see 20+ people in a day and all have pain when wearing flip flops or walking barefoot, then its easy to have tunnel vision and suggest a blanket NO to flip flops or barefoot. Even when feet hurt, it’s important to remember that a small amount of walking barefoot is good for you, even barefooted rehabilitation. When people suffer from heel pain, plantar fasciitis and arch pain, then its a good idea to seek medical intervention through a podiatrist. When foot pain occurs then it is not advisable to wear flat flip flops or sandals for the summer months, at home or abroad. I have a solution for you if you have discomfort in your feet and you live in flip flops in the summer. Fit Flops and Vionic footwear are very comfortable and actually look good. They can be worn when you are not wearing orthotics or instead of walking barefooted in your house to give your feet a degree of cushioning. Vionic flip flops have a built in orthopaedic orthotic which can help ease symptoms of heel pain and arch pain. What’s the key message ? Three things that a Podiatrist won’t tell you, but you can be assured they are thinking it ! I get a Pedicure every 4 weeks, I am not too sure about the cleanliness but the nails look great! Can you check them please?? 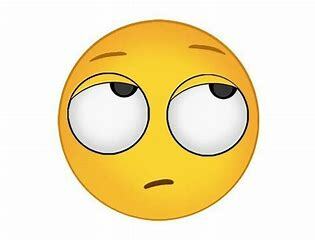 You have a long standing fungal infection and having that darn nail polish on the nails has housed the fungus and its now all over the skin and nails. She’s not going to like me telling her this but as soon as the clippings come back positive for fungal infection, we are going to consider a tablet and NO nail polish for a year. I play a lot of sports and my heels hurt, I have really cracked heels. They have always been like this and I have never done anything about it, can you help? OH NO ! Why have you never done anything about these heels, prevention is cure! I am going to ask him to cream these feet twice daily and book an appointment in 6 weeks to check up on him. I hope he does it because this specific cream will really help but I doubt he’s going to stick to the regime. When he comes back in 6 weeks, I am going to go mad if cracks haven’t gone ! MAD ! I have been back to my GP about 3 or 4 times for an ingrowing toe nail and have been prescribed a few courses of antibiotics but it’s still sore ? 10 Tips for children’s feet to prevent foot pain. Brunilda is our resident foot specialist in Earlsfield and Wimbledon. She’s a mum first then Podiatrist second ! In 2015 she gave birth to her identical twin boys who absorb most of her time and energy. Together they enjoy family trips and activities, cooking and keeping active. Its safe to say, she knows how to manage children’s feet! Here are Brunilda’s 10 Tips for children’s feet in preventing foot pain. From the moment your child starts to walk, their feet must be measured for length and width. Clarks is a great shoe shop for children’s shoes, but not all the range is suitable! Once your child has had their feet measured, buy lace up shoes or shoes with a buckle and ensure they have a slight heel and a supportive heel counter for maximum foot support. Sweaty feet are normal, make sure you wash your child’s feet daily. Alternate shoes every day. It takes 48 hours for sweat to dry from your child’s shoes! Cut your child’s nails straight across to avoid ingrowing toe nails. Inspect your child’s nails and feet for signs of inflammation, infection or itching. AVOID PLIMSOLLS AT ALL COSTS!!! These shoes are a Podiatrists worst nightmare! Growing pains are not always growing pains, especially in young sporty children, particularly aged 10-15. Check your child’s wear pattern on their shoes. Normal wear pattern is on the outside border of the heel. Excessive wear pattern or an abnormal wear pattern may be due to walking or running problems which your Podiatrist can diagnose, assess and manage. 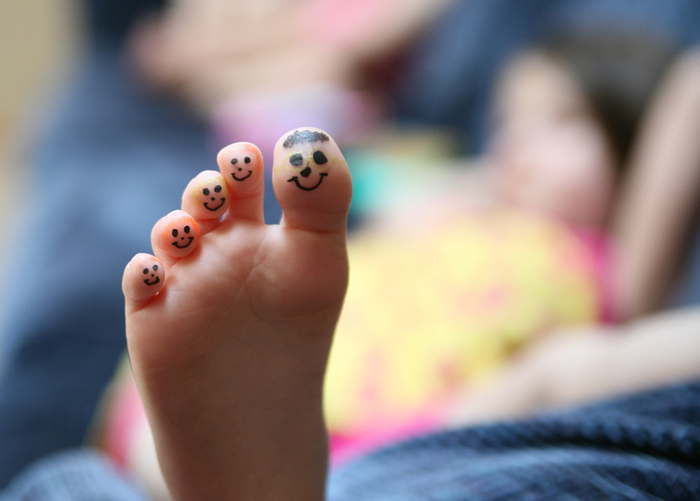 If you are concerned about your child’s feet, whether this is an in-growing toe nail, verrucae, walking problems or flat feet, you can call us between 9AM-6 PM Monday to Friday and 9AM-4 PM on Saturdays to book in with Brulinda.